This month we’ve teamed up with heating expert, Dimplex, to offer one lucky winner a stylish Gosford Opti-myst® Electric Stove. Dimplex’s Opti-myst® range of electric fires are the ideal solution for a safe, family friendly fire that can be simply plugged in to create an instant fireplace. With just the flick of a switch, Opti-myst® uses unique state-of-the-art, patented technology to create the world’s most realistic 3D flame and smoke effect. Designed for instant relaxation, the fire can be operated via a remote control for instant flame and heat from the comfort of your sofa. What’s more, for those who simply just want the look and feel of a real fire but without any associated heat generation, the flame effect can work independently of the heat – ideal for when you want that cosy feel but don’t need the heat in the room. 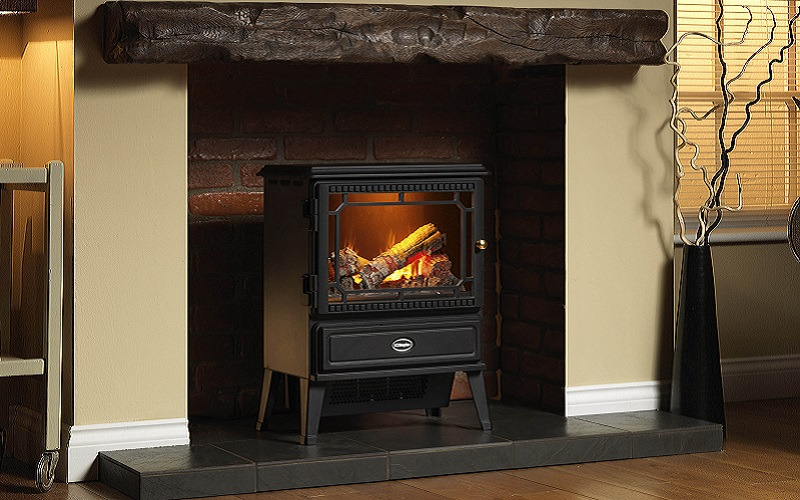 Boasting a classic black finish with a realistic LED log fuel bed, the Opti-myst® technology uses water to generate a cold, completely safe, vapour which operates by light reflecting against ultra-fine water mist to create the flicker of flame and wisps of smoke.